Forbes magazine recently released the latest list of the world's most highly paid models. Ranking in 6th place on the Forbes list of the most highly paid models in the world with estimated earnings of $4.5 million United States Dollars over the past year is Canadian and Eastern European beauty Daria Werbowy. Daria Werbowy is a Ukrainian Canadian model. She is perhaps best known as a spokesperson for the French beauty brand Lancome. Although born in Krakow Poland, Daria Werbowy holds both Canadian and Ukrainian citizenship. When she was three years old, Daria Werbowy's Ukrainian parents moved to Mississauga, a suburb of Toronto, Ontario, Canada. At age 14, Daria Werbowy was 5'11" and sporting braces. Daria Werbowy had never seriously considered modeling, but found herself launched into the business after meeting a schoolmate's mother who headed a local model and talent management agency in Toronto called Susan J. Model & Talent Management. At age 14, Daria Werbowy won a national modeling contest, but after a year of working with Susan J. 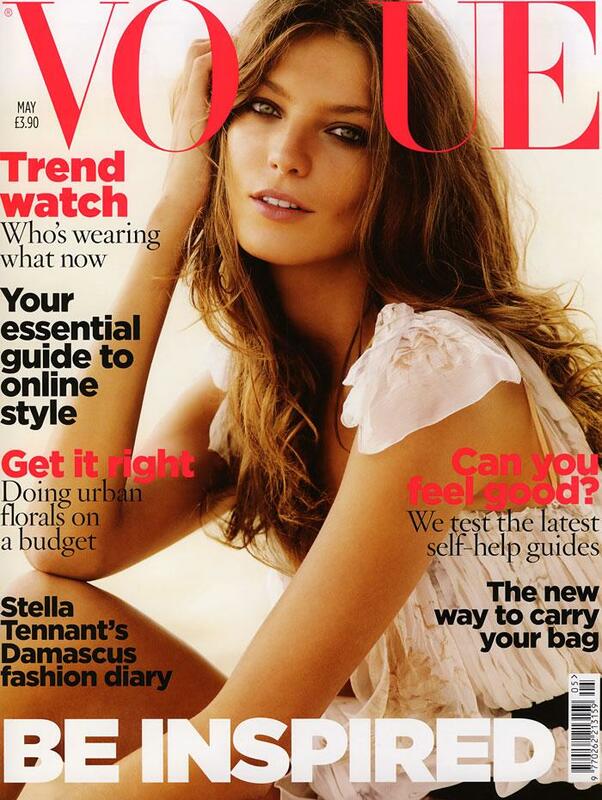 Model & Talent, however, Daria Werbowy thought she could be doing more with another agency and left. After switching over to Elite Models, Daria Werbowy began landing several prominent bookings in Canada but still had not achieved much international success. Daria lived in London and Greece, where there were a very large number of castings, but no work. Her first runway season was disrupted and her bookings canceled after the September 11 attacks in New York City. After a disappointing eight months, Daria Werbowy returned to Canada. She gave modeling a final shot as a means to fund her art school education. "I returned to New York, met my agent and the next day I had an exclusive deal with Prada. From then on it was all a bit of a blur." When Elite Canada's head scout, Elmer Olsen, started his own agency, Daria Werbowy followed and her career began to flourish. Within a few years, and under the guidance of International Management Group (IMG), Daria Werbowy had gained a foothold on the international modeling stage. Daria considered taking a break from the fashion industry at age 27 to sail around the world. Though she relinquished the world's No.1 runway model status to new "it girls" according to some industry insiders, Daria Werbowy holds the record for opening and closing the most shows in one season. To date, Daria Werbowy's clients have included Lancome, Prada, Yves Saint Laurent, Pepe Jeans, Roberto Cavalli, Gucci, Hermes, Valentino, David Yurman, Missoni, Versace, Louis Vuitton, and Chanel. 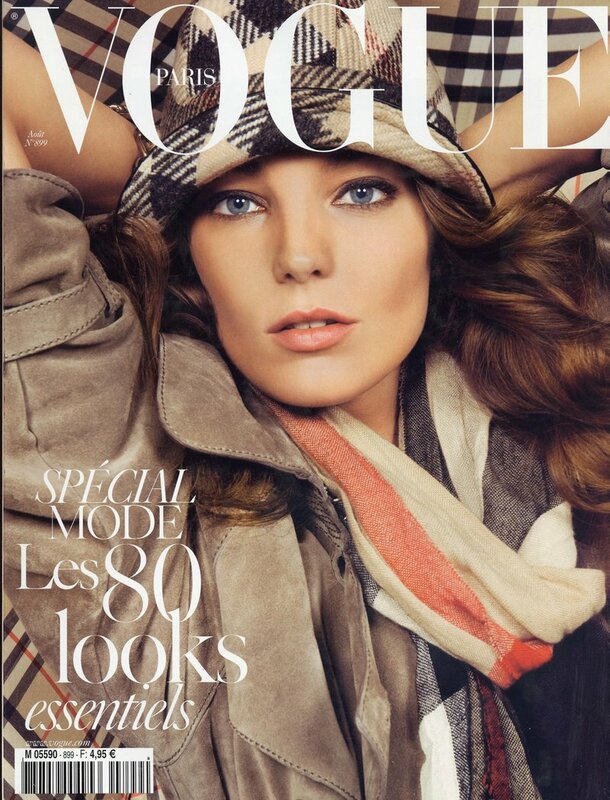 In her first season, Fall/Winter 2003, Daria Werbowy captured two of the modeling world's most coveted assignments: the cover of Vogue Italia three times (July, August and October); and Prada's Fall/Winter ad campaign. Photographed by Steven Meisel, she was presented on the September 2004 cover of American Vogue as one of the "Models of the Moment". In July 2007, Forbes Magazine listed Daria Werbowy as the ninth highest earning model in the world. Her earnings between June 2006 and June 2007 were in the order of $3.5 million United States Dollars, far below her 12 month 2010-2011 earnings of $4.5 million United States Dollars which just ranked her as the world's 6th most highly paid model. In 2008 Daria Werbowy embarked on a three month journey across the Atlantic Ocean and the Mediterranean Sea. On September 6, 2008, Daria was inducted into Canada's Walk Of Fame. She is the second Canadian model, after Linda Evangelista, to have a star on the Canadian Walk of Fame. Earlier that year, Daria Werbowy launched a three piece makeup collection by Lancôme for Sephora. The proceeds went to the Vik Muniz charity Centrao Especial for underprivileged youth in Brazil. Daria Werbowy was one of the faces on one of the fourteen covers of V Magazine in the September 2008 issue. Each cover boasts a head shot of a famous model, either from the new crop of leading models (Agyness Deyn, Lara Stone, Natasha Poly, Anja Rubik, etc.) or the supermodel era (Christy Turlington, Eva Herzigova). Daria Werbowy is featured in the 2011 Pirelli Calendar photographed by Karl Lagerfeld. She ranked No. 6 on Forbes The World's Top Earning Models list, with an estimated earnings of $4.5 million since May of last year (2010-2011). Daria Werbowy earned $4.5 million United States Dollars since last May, anchored by a posh contract from fragrance and makeup giant Lancôme Paris. Over the last year Daria Werbowy, who was born in Poland and raised in Canada, inked deals with Hudson Bay, Stefanel, Joseph, Oroton, and YSL. Other modeling contracts include: Lancôme, Versace, and H&M. With stunning cosmetics contracts Daria has leapt effortlessly into the financial VIP club. Even better, her editorial profile is so consistently flawless that Daria Werbowy has emerged as the great breakthrough model of her decade.